LABOUR has called for an inquiry after a male terror suspect with links to the al-Qaida-affiliated group Al-Shabaab evaded police by slipping out of a London mosque wearing a burka. Yvette Cooper, the shadow home secretary, called on the independent reviewer of terrorism to "investigate urgently what has happened and the inadequacy of the controls and powers in this case," the BBC reports. In response, Home Secretary Theresa May told MPs that the man who absconded, Mohammed Ahmed Mohamed, was not "a direct threat to the public in the UK". She said he was being monitored "to prevent his travel to support terrorism overseas." Mohamed is one of "the small number of people in the UK" whose movements are limited by a Terrorism Prevention and Investigation Measures (Tpim) notice, the Daily Telegraph reports. 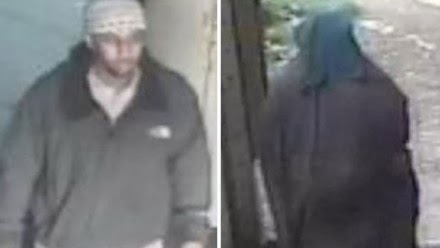 He was put under surveillance due to his connection with Al-Shabaab, the Somalian terror group which was behind the attack on the Westgate Mall in the Kenyan capital Nairobi on 21 September, Sky News reports . Mohamed was caught on CCTV leaving the West London mosque on Friday wearing a full Islamic veil. The Telegraph says it is not known what the 27-year-old is suspected of, as people under the orders are given anonymity during court hearings. Police said Mohamed is "not considered at this time to represent a direct threat to the public", but advised anyone who sees him not to approach him and to call 999 instead. Mohamed, who was born in Somalia, went to the An-Noor Masjid and Community Centre in Church Road, Acton on Friday morning. He put on a burka before leaving the building at about 3.15pm and has not been seen since. A Scotland Yard spokesman said: "The Counter Terrorism Command immediately launched inquiries to trace Mr Mohamed and these continue. Ports and borders were notified with his photograph and details circulated nationally. Public safety remains our priority." The Times notes that Mohamed is the second person to breach a Tpim since they were introduced to replace control orders in early 2012. Last December, Ibrahim Magag, who is believed to have attended a terrorist training camp in Somalia, absconded from a Tpim notice after tearing off his electronic tag. The police search for him is continuing.